I am an active leader on the campus of Philander Smith College in various capacities. I participate in the Honors Student Association, the Pre-Med Society and previously served as captain of the Panther Dolls dance team. I am also a member of the Gamma Alpha Chapter of Alpha Kappa Alpha Sorority, Inc. and was initiated in the Alpha Kappa Mu Honor Society. My desire to become an OBGYN stems from my love for children and families. I hope to be able to serve women and growing families by supporting and encouraging health and wellness. Mentoring students has been my most memorable contribution as Miss Philander Smith College. 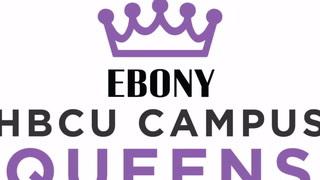 I have personally mentored many students on my campus from the moment I gained the title of Campus Queen. While mentoring students I have learned a great deal of new things about myself and guided students through obstacles they thought they would never overcome!